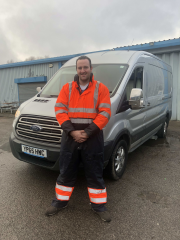 Jonathan and his team provides a reliable and professional mobile mechanic service that covers the whole of the North West area of England! Our highly qualified and specialised staff provide around the clock service so you can rest assured we will get the job done and done right!. Jonathan repaired the fault in a very fast and efficient manner and the cost was very reasonable. I’m very happy with the repair, many thanks. Mechanic arrived outside the quoted time window by an hour but it was acceptable. Yes, he was friendly and knowledgeable. Overall, happy with the quality of the work carried out and service given. He was really knowledgeable and helpful - obviously knew his stuff and answered a few other queries I had. The mechanic was very knowledgable and explained fully the work that was being carried out. Very pleased with the service, thank you. Jonathan was very professional and very competent. He performed a comprehensive diagnostic workout. All was good, quick, friendly and explained what he had done. He was running late but rang and explained the situation. Fan up and running again; very helpful and would be more than happy to have him repair my vehicles in the future. Excellent. Jonathan turned up bang on time. No fuss, job done. Happy customer.